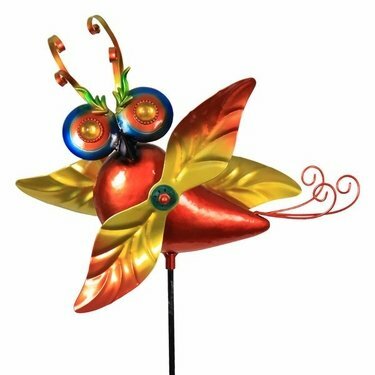 Watch the wings spin as this beautiful Metal Peacock Stake attempts to take flight in the breeze! This colorfully painted stake adds playfulness to any garden and is sure to make you smile! Size: 11" x 7" x 43"H. Metal.